them on a low flame till they turn into golden brown color. from the flame and allow it to cool. pulpy. Switch off the flame and let it cool completely. coarse powder. Add the cooked tomatoes and salt to it. the curry leaves and hing. chutney. Combine well. Serve with rice, papad and a dollop of ghee. Delicious tomato pachadi love it. Wow. That is such a delicious pachadi. I will be trying this very soon. Great recipe & healthy combination indeed!! Am u r follower. If you follow back, i will be so happy. Very interesting that you have moong dal in the pacahdi, I will make it soon. Thanks for sharing. 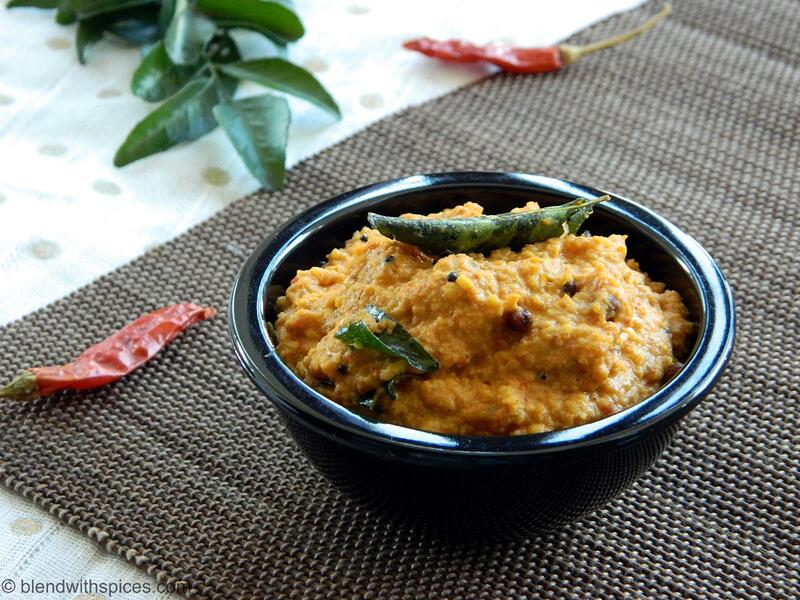 Love this kinda paruppu chutney, goes good with rasam rice..Good presentation. super delish! i am not sure i have heard of this variation before. Nice recipe. Love to try this soon. Wonderful and very interesting combo in chutney. I tried this chutney this noon. It sure tastes heavenly. Many thanks for sharing the recipe.